Art @ Blindcrake 2018. This year's annual arts trail will run every afternoon (1.00 - 6.00 pm) from 25th August to 2nd September. It will feature ten artists located at six venues close to each other in the centre of Blindcrake Village. These include the Village Hall, which will not only host two of the artists (Sue Cumella and Helen Munby) but will also be serving refreshments throughout the art event. Profiles of the various artists and their work are shown below. 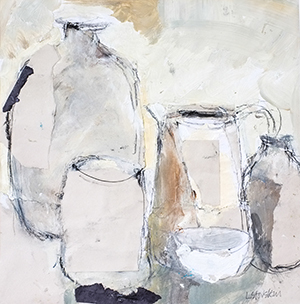 Lindsay studied Fine Art at Glasgow School of Art and taught art in Scotland before moving and working oversees for more than 20 years with her husband and children. On her return to Scotland in 1992 she continued her professional development in art and attended courses at Glasgow School of Art and, latterly, Leith School of Art (Edinburgh) and has been painting and exhibiting since that time. She has works in the UK, Hong Kong, Australia, USA, South Africa, Middle East, Canada, Norway and Denmark. Her paintings and painting style have developed and evolved becoming more abstract in recent years combining collage and mixed media. Her inspiration comes from everyday life. 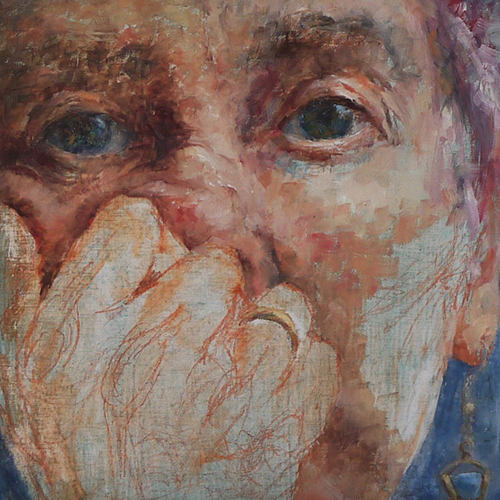 Colour and texture continue to excite her and remain the most important focus of her work. 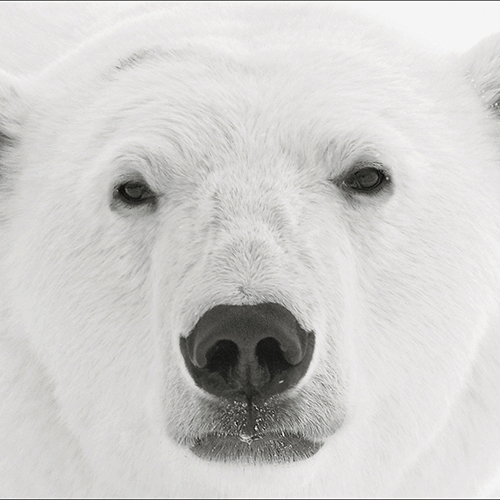 Keith is an international award-winning photographer and holder of distinctions from the Royal Photographic Society (LRPS), the Photographic Society of America (PPSA) and the International Federation of Photographic Art (EFIAP). He is a member and current Chairman of Keswick Photographic Society. His images have received numerous international gold medals and commendation ribbons and he has had prints selected for exhibiting at the prestigious Edinburgh International Festival Photographic Exhibition in 2016 and 2017. This year's Blindcrake exhibition, Winter Wonderland, features landscapes and wildlife from a recent trip to Yellowstone National Park USA, as well as a selection of abstract landscapes taken more locally. My work is on display in Keswick YHA café and in Koppers café-bar in Cockermouth and can also be viewed and ordered at www.keithsnellphotos.com. When I took early retirement from teaching science I needed something new and challenging, so having learned to spin wool I decided to stretch my learning to weaving. I enrolled on a two year course on ‘Handwoven Textile Design’ in Bradford and that is how it all started. My handwoven wall hangings show influences of my Finnish background. Home textiles were always part of my Finnish upbringing. I am inspired by nature in its entirety. The changes of colour and form of trees through the seasons. Geological features of the landscape and rocks, crack and fault lines on rock strata are woven into my hangings which I call “Earth Lines”. Textures are created by the weave structure and the yarns I use. The wall hangings come ready to hang and adorn your home. 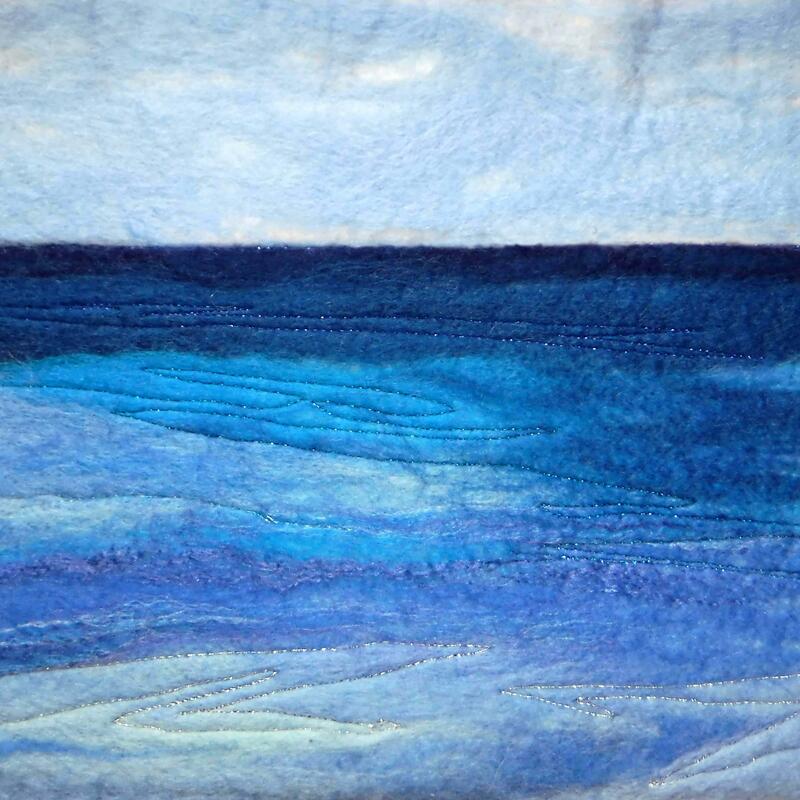 I also work felt to create seascapes and ‘Deep Space’ images which are mounted and framed. 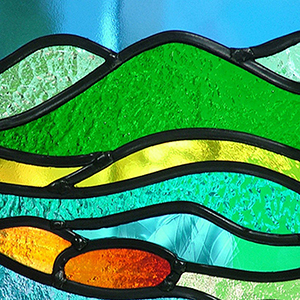 I have previously taken part in C-Art and our annual village Art at Blindcrake arts trail. My hangings have also sold in Percy House Gallery, Cockermouth, and been exhibited in various places in Cumbria and around Britain. I've been a leisure cyclist for over forty years and enjoyed both the mental and physical 'buzz' that cycling gives. It also presents the opportunity to explore the countryside and the people one meets on the way. 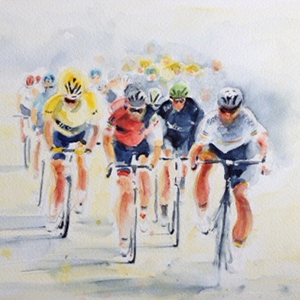 I have always been interested in exploring art and painting and so I felt compelled to put 'paint to canvas' when first starting to watch the Tour De France. I enjoy pushing the boundaries in terms of style and the materials I use in order to get the right feel for my subject. Living on the edge of Cockermouth for over twenty years means that the countryside, in all seasons and weather, is also a constant source of inspiration to paint. I will be showing original paintings and Giclée limited edition prints of my work and I am also happy to undertake commissions. Always having had the creative urge, after retirement from teaching in 2009, Joan had time to continue her own interests and discovered the tactile and colourful magic of felt. Feeling compelled to study it further she completed all levels of the City & Guilds Creative Arts courses focusing on Felt Making, over several years at Artybird School of Art and Textiles in Carnforth. After studying traditional felts and feeling excited by the effect of shining light through the felt, she developed a unique method of illuminating her pictures and recently has begun experimenting making felted lamps. Colour and texture are important elements in Joan’s work and stitching, by hand or machine, is another technique often used on her traditional pictures enhancing the textural quality. These items will all be on sale at the exhibition together with prints and cards. Living in Blindcrake she finds inspiration from her beautiful locality especially its spectacular sunsets. She has exhibited at Blindcrake art events for several years, around the north of England and in France and her work is sold in Percy House and Thornthwaite Galleries. I have been making bespoke furniture for nearly thirty years. Each piece I make is unique. I work with the customer to reach a design solution that satisfies the brief. I like to think anything I make will endure, at least outlasting me. The timbers I use have varied, but oak always has been the one to come back to. I have built up a collection of timbers allowing me to work with freshly cut “green” for carvings, more seasoned for chairs through to fully kiln-dried for cabinet work. My inspirations have been two-fold. Firstly the fine craftsmanship and sheer quality of workmanship that is found in traditional cabinet making. Secondly the vernacular furniture traditions from around the world, including Shaker, where functionality is combined with style and a simplicity of form. 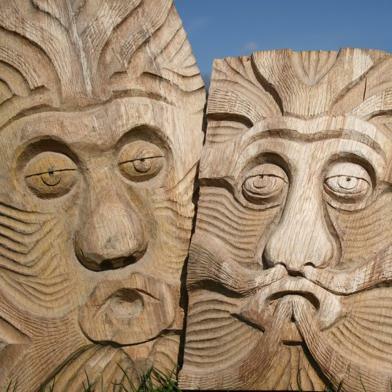 More recently I started making the green man heads as a doodle , carving with the flow to reveal whatever the wood has to offer. My Art at Blindcrake 2018 exhibition will show a range of current and past projects. Looking for a new interest after retiring in 2002, I signed up for a two-year course in ‘Handwoven Textile Design’ at Bradford College which gave me the opportunity to explore my creativity. 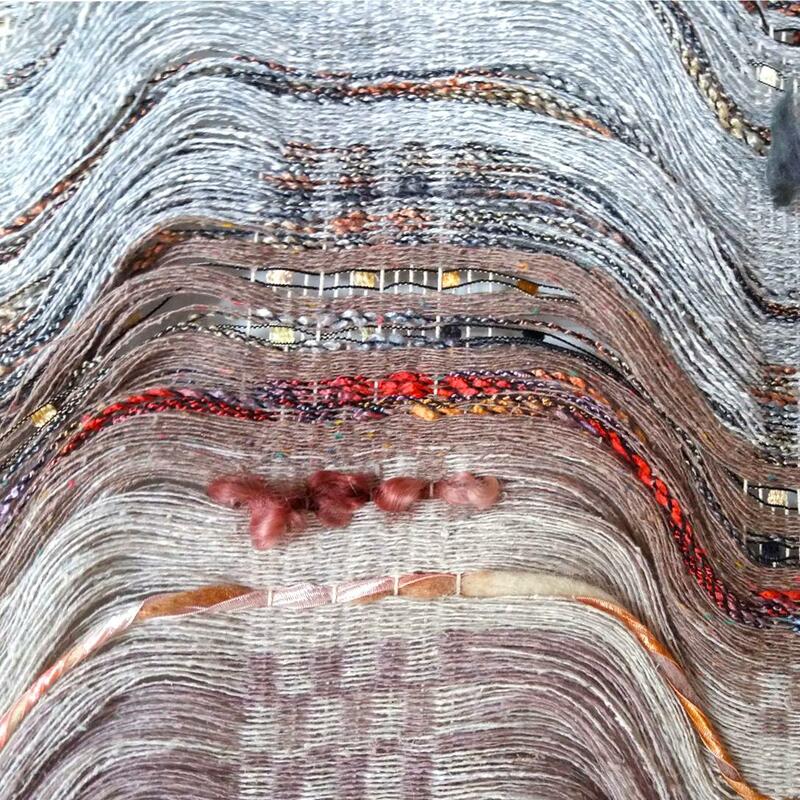 Since then, I have experimented with many forms of woven textiles but have always been drawn towards using weaving to reflect my personal response to what I see around me. 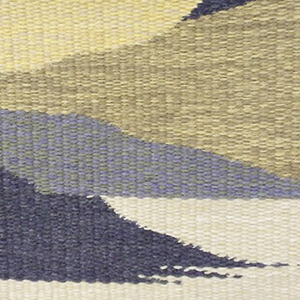 The natural landscape provides me with endless inspiration and I moved towards woven landscapes in the form of wall hangings. I am particularly interested in the interplay between tone, form and colour to create atmosphere and perspective. All my hangings are woven in pure wool and I have experimented widely with felt work to learn how colour and tone work together in this medium. As I weave more landscapes, I continually find new ideas that provide more routes to follow in my desire to distil the essence of beauty in the landscape. After gaining my qualification in Art, primarily studying textiles and fabric design, I have taught Art in Cumbrian schools throughout my career. 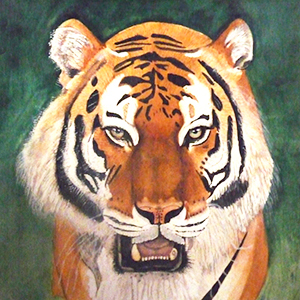 My work now concentrates on my first love of watercolours and pastels, using them to produce portraits of animals, both wild and domestic where I enjoy trying to capture each animals’ unique character. Colour takes precedence over everything in my work; I love to explore different hues, especially in floral images, landscapes and portraits. The inspiration for my work comes from nature and images of the world around me in the countryside of my Lakeland home. I have held several exhibitions over the years, venues including the Helena Thompson Museum, the Moot Hall in Keswick, the School House Gallery at Crooklands, near Kendal. In 2017 I joined the group of artists exhibiting at Art at Blindcrake, where I obtained several commissions for animal portraits. At this year's show show I will exhibit both framed originals and limited-edition prints, including new animal and floral paintings as well as cards and prints.